Thank you for your interest in Al Cinamon's driving classes. Al conducted classes at the Hyatt Hotel in the Cross County Shopping in Yonkers for the employees of the Center. Al Cinamon has been providing quality driving instruction since 1965. He teaches the New York State DMV approved Point and Insurance Reduction program at SafeCruz Driving School in Mt. Vernon. He teaches the Pre-Licensing Class that is mandated by the New York State Department of Motor Vehicles at SafeCruz Driving School and Plates & Licenses Driving Schools, both in Mt. Vernon. He also teaches at Golden Crown Driving School in White Plains. Al teaches the Instructor's 30 hour course at Bronx Community College. About The Classes provides information on the pre-requisites and benefits of Mr. Cinamon's classes. Here you can also read Mr. Cinamon's biography. Class Locations & Fees provide the date, location, and fee for the next scheduled class to be given in various locations. Testimonials provides comments from students who have taken Mr. Cinamon's classes. Contact Us provides a way to make a reservation for any class online and to contact Mr. Cinamon for answers to any questions you may have. You can leave a phone number for a call back. Contact information is also provided below. Accidents or Crashes? spells out Mr. Cinamon's philosophy. It is one that people can live by. Driver or Mover? 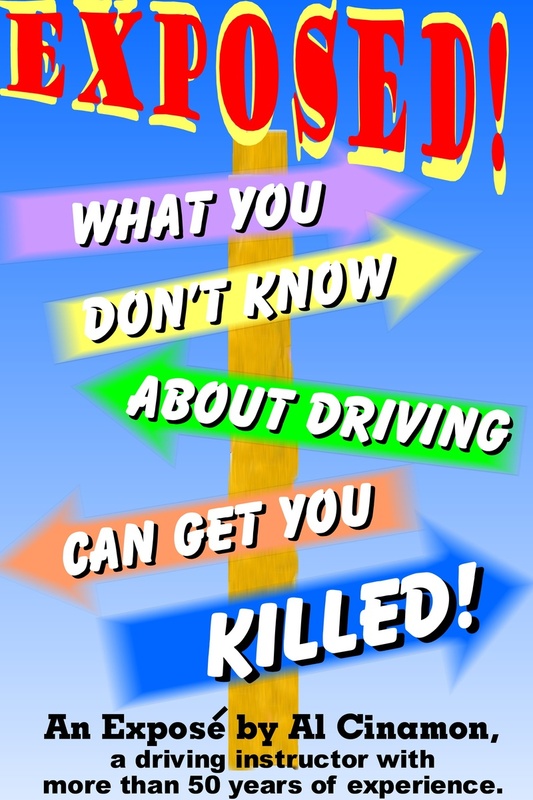 provides a quiz to help you learn the difference between driving a car and moving a car. Videos-provide graphic images of problems on our roads. You are provided an opportunity to comment on the videos. Al Cinamon attended the NY City Council's first-ever hearing on the NYPD's enforcement and crash investigation procedures, and had the opportunity to address the Council. You can read his remarks in the "Hit Parade" section. The Move Over Act, a New York State law requiring drivers to slow down and change lanes when passing emergency vehicles, goes into effect on New Year?s Day. The goal is to protect law enforcement officers, firefighters and EMTs when they are stopped along roadways while performing their duties. Under the law, drivers must reduce their speed and move from the lane immediately adjacent to stopped emergency vehicles when emergency lights are flashing. Violations are punishable by a fine of up to $275 and two points on the driver?s license record. The exception to the law is if traffic or road hazards prevent a driver from safely changing lanes. Classes are always subject ot cancellation so please confirm by calling 917-859-4150.